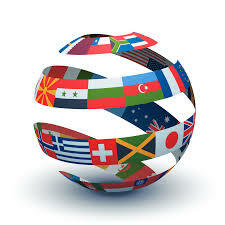 Translation services – call 07459 490 814 now! How can I order a translation? How can I pay for the translation? When is the translation done? How do I get the translated text back? What format should I send the text in? What format will I receive the translated text in? When do I need proofreading? Once upon a time, dictionaries and perhaps typewriters were translator’s best friends. Today, however, the work of a translator doesn’t seem possible without a computer and Internet access. In today’s world, the Internet is the primary source which the translators use when completing their tasks. The net is full of various dictionaries on an unthinkable amount of subjects; however, there’s a lot more to translators’ resources. 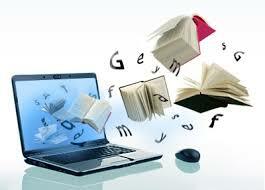 In this age of information, the Internet as such can be considered as a rich source of linguistic information. There is no doubt that the Internet is one of the greatest inventions of the 20th century. Not only did it facilitate our access to information, but it also provided the opportunity for global cooperation. So what can the Internet offer to a translator? Online dictionaries, glossaries and banks of terms. There are many free dictionaries, glossaries and banks of terms which can be easily accessed from any corner of the planet. The Internet can be considered a huge library which provides dictionaries and glossaries of terms from all kinds of fields on various languages. And yet, they’re accessible to anyone, irrespective of where they are. In the past, a translator had to leave their warm house (or office) or spend a large sum of money in order to obtain what today is literally at our fingertips. In today’s world, the translation market is, first and foremost, online. The Internet is the place where clients look for translators and vice versa. Therefore, there aren’t any geographical limits for business between a written translator and a client today, and therefore, in most cases such business is contacted with the help of World Wide Web. Today, it’s possible to say that the Internet has completely changed the market system of translation services. A body is an information system based on a collection of texts in a language in electronic form. A body of a language represents that language on a certain stage of its existence and in all its diversity of genres, styles, territorial and social features, etc. The Internet can be viewed as a large body of texts in various languages. Bodies of texts are very valuable for a translator. With their help, the translator can receive important linguistic information about spelling, terminology, phraseological units, etc. of one language or another. If we view the Internet as a body of texts, then search engines like Google or Yahoo can be considered tools for carrying out body analysis. Search engines are programs that store information about the content of various websites. When a search is carried out, search engines begin to search documents stored online by keywords. The principle of search engines’ work is similar to the system of carrying out body analysis. Search engines allow a translator to, for example, find rare terms and syntax structures, check the frequency of terms or expressions usage in a certain language. In conclusion, Internet technologies have significantly changed a translator’s professional life. For translators, the Internet represents an opportunity for communicating with colleagues, professionals of certain fields and, of course clients. However, in order to work in the modern world, a translator needs another important skill, in addition to perfect knowledge of the language, translation techniques, etc. – the ability to quickly find the necessary information in the endless sea of the Internet. Scientific and technological progress has touched upon many areas of our lives, including the field of translation. Sci-tech translation can not only be considered a particular type of translation, but as a separate vocational discipline. From a linguistic point of view, features of translation of sci-tech texts apply to their stylistics, grammar and lexicon. The primary task of sci-tech translation is the maximally possible clear and accurate communication of information to the reader. Completion of this task can be ensured with the help of logical communication of the material with any unnecessary emotion. Given today’s modern technically educated society, it’s unlikely that there is a translator, oral or otherwise, that has never worked with technical texts. Even those translators that only work with literal translations often come across elements of sci-tech texts in literary works. In cases of technical translation, at first one needs to understand the situation described in the source. The abundance of references complicates the translation process. Translator has to know the technical terms well, as well as to understand the subject in order to have an opportunity to describe the situation even if there is no such explanation in the source. In addition, a technical translator has to comply with stylistic requirements so that the text is clear to a specialist. It should be noted that, for example, in technical English, there could be elements of imagery which nevertheless shouldn’t be included in the translated text. Strive for clarity is expressed in usage of clear grammatical constructions and lexical units, as well as wide usage of terminology. Normally, widely accepted terms are used, although terminoids (terms used within the narrow circles) which highly complicate the translation process also exist. Such texts also usually include abbreviations and keys. Changing the meaning of the words used in everyday speech is one of the most productive ways to create new terms. For example, the English word “Stroke” is presumed to mean “Hit” in the everyday speech, whereas in sci-tech texts it acquires the meaning of “piston move”. This feature of words is the most dangerous source of problems and errors for a beginner translator. So, the main stylistic feature of sci-tech texts is a clear and accurate interpretation of the materials without any expressive elements which are usually used for adding emotion. Such texts are almost completely devoid of metaphors and other stylistic features of linguistic expression. However, although scientific texts are far removed from colloquial language, they contain many neutral phraseological units belonging to the subject of technology. The main requirements of sci-tech translation include preserving the accuracy (all units of the source text must be reflected in the translation), brevity (all units of the source text must be translated laconically), clarity (brevity and laconic phrase in the translation language shouldn’t get in the way of understanding the lexicon), conformity with norms (translated text has to correspond with the accepted norms of the literary language without usage of syntax structures of the language of the original). 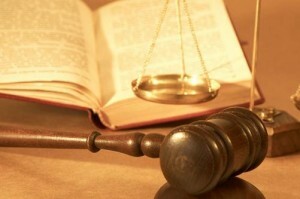 In cases of translation, legalese requires the knowledge of legal terms and practice. Translation of legal documents requires precision and complete correspondence with the original. Legal translation is one of the most complex tasks for translators and is required for documents like birth certificates, accounting reports, documents of confirmation, court documents and business contracts. Translators not only have to have the basic knowledge of legal terminology but also be good at legislative requirements and legal complexities of cultural and legal system of a different state. Translation as such is a complex process that requires specific skills. Nonetheless, legal documents translation requires particular kind of attention, because even the smallest mistake can serve as grounds for a complex court case, not to mention financial losses suffered when fixing it. There are a few things to keep in mind when completing a legal translation. The source text is structured according to the legal system that corresponds with legalese and culture. Translated text, on the other hand, will be read by a person who speaks a different language and lives in a different legal system. Rights and obligations of all organizations and persons involved in the translation must be properly set. It is necessary to ensure the accurate communication of meaning of the original text in the translation. You should also remember that the original text’s linguistic structure might not have any direct equivalents in the translation language; therefore, it is the translator’s responsibility to find the appropriate linguistic structure similar to the original text. Legal translation is done within strict deadlines, because if documents are required in court, a delay can result in them losing their legal status and becoming invalid. Confidentiality is also important, because almost all legal documents contain data which requires protection. Lawyers are constantly faced with the world of contrasts between real legal life and the perfect image of the law which, in essence accumulates various precedents that must also be commonly interpreted without the help of current legislative acts. Lawyers involved in the issues of international law work with words which require accurate spelling, depending on the right sentence structure, syntax and choice of word. For that reason, legal translators must have the experience required and the knowledge of legal terminology of the source, as well as translation, languages. An international lawyer is relying on the professionalism of a translator that’s working on a translation of foreign documents into his native language. Translation of legal documents into a foreign language is more difficult than other types of technical translation. The issue is the legal terminology because it is, along with legal systems, different in each country. In most cases, it varies from country to country, even if the language of the countries is the same. A legal translator must be competent in three areas: appropriate writing style of a translation language, knowledge of special terminology and general understanding of the legal systems of source and target languages. In case of legal documents, literal translation is not appropriate. With that in mind, a professional translator of legal documents must be part detective, part legal academic and part linguist, who needs to do an appropriate amount of research for decrypting the original and communicating its actual meaning, which would never, not in any circumstances, would differ from the source’s content, even if literal translation is impossible. On top of that, a translator must understand the intended use of translation, because that would influence the chosen translation method. The designation directly influences several features, including style or registry, syntax, phraseology and terminology. When there are defects in the original text, translator must decide whether to make the translation equally unclear or do a proper translation which is his goal, that could, however, have been disrupted by the errors in the original. Legal documents translation is a very difficult task. Its completion requires a professional legal documents translator with the appropriate level of education, strengthened by the years of experience in the field of legal translation. As many freelance translators and professional translation companies know, translation is a process of communication of the meaning of the original language source in a way that communicates the literal meaning and creates a text equivalent that communicates the same meaning as the source. The source is what the original document to be translated is called. The language in which the meaning needs to be communicated is the target language. Therefore, a translation product can be called the target text. Professional agencies of technical translation should keep in mind that the difficulties and conditions of their job are usually related to grammatical differences between two languages, context changes, figures of speech and other similar features. The perfect purpose of any translator’s job is the accurate communication of meaning. Translation process is older than many think. Academics believe that it’s just as ancient as written literature, perhaps even more so. This is confirmed by Asian translation of a Sumerian Epic of Gilgamesh (one of the oldest works of literature) created in 2000 BC. To be more precise, the Epic of Gilgamesh could have been read by the authors of works like The Iliad and The Bible that used several elements of this text in their work. Following that, the very word “translation” comes from a Latin word transferre (to transfer). Modern Romantic, Teutonic and Slavic languages have their own words that communicate the same meaning as Latin ones. There is a very common misconception that each word of each language can find a corresponding word in another. If that really were the case, there would be no need for translators, period. Computers would be used for translation which would have become a totally mechanized process. However, word-for-word translations don’t usually take important factors such as context, grammar and idioms, into account. In other words, word-for-word oral translation usually leads to a text full of errors and lacking of clarity. Moreover, there is a risk of one language’s constructions being transferred into another. Such a mistake can be made by a machine, as well as a person that connects both languages in their mind. Replacements and borrowings are often found in bilinguals’ speech, and that of whose who speak hybrid languages, such as mixture of Spanish and English, Portuguese and Spanish, French and English, Japanese and English. Either way, they’re undesirable in translations. It’s clear that translation is not an exact science and it is developing quite dynamically. A translator should constantly look for a balance between accurate communication of meaning and following the norms of the target language. That is the key to success. Translation is a massive industry, because many companies strive to achieve confidence in clients understanding them irrespective of their location. This is because the Internet is becoming more and more widespread and online tools and automated systems are used more and more for solving translation challenges. These programs don’t always complete all the challenges set before them and the texts that you receive as a result often look badly structured and of a low quality from a native speaker’s point of view. Here are some of the most common mistakes related to the use of automated translation tools. Normally, these systems use translation algorithms that translate word-for-word and a meaning recognition program that determines how it should be expressed in a different language. If users are unable to edit the text well, or if there is a large number of idioms and colloquial expressions, the translation system might not be able to do the job. It’s very important to remember that idioms and expressions aren’t universal, although they can have their analogues in different languages. They can vary in structure or meaning, so it’s best to avoid using them in a text that would be processed via machine translation tools. Normally, machine translation tools are meant for working with general texts. If your text uses specific technical jargon or lexicon, specific to your field of work, the probability of inaccuracies in translation of such technical text is very high. The best way to avoid this problem is to use the kind of software that has a specific dictionary of terms for each field. One of the biggest mistakes made by people that use online translators or any other software of the kind is committing negligence when checking the result. All you need to do is to take the result text (in your target language) and translate it back with the help of the very same program that you used to create it. Have a look at what happens when you translate back into the original language. If the meaning is distorted, perhaps you need to start over and find more accurate expressions. Another good method of checking is to find someone who speaks the target language and ask them to review the result. Quite often, it helps to solve the problems with technical terminology and complex sentences. In addition, you would also be able to ensure that the text fully communicates what you intended. This is particularly important for advertisement and commercial publications. You should also make sure that you’re using a well-recommended program and are always striving to communicate your idea accurately, find the words properly, particularly if you’re not at all familiar with the language. Language translation, specialty translation and proofreading in Coventry, certified translations of certificates, birth certificates, diploma translations, and the translation of other documents quickly and precisely.